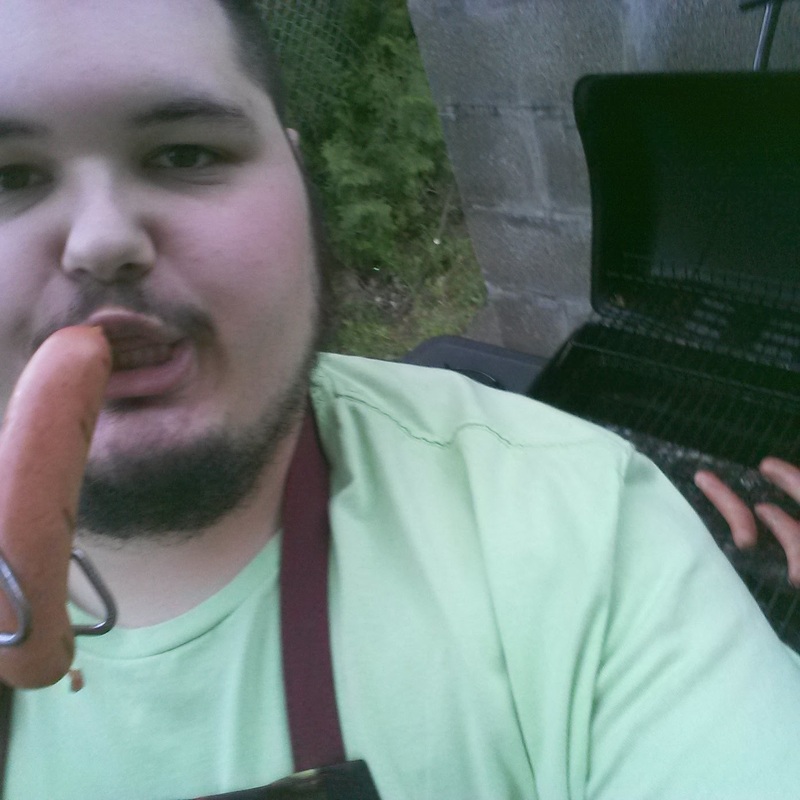 The attachment is a photo of me a few weeks ago, grilling up some Zweigles Pop-Open Red Hots. It felt so good to grill again. As for my previous update, I am still terrified. Yet, I'm trying to stay as positive as possible, and see it as some sort of hurdles that I need to take on one jump at a time. First things first, I am going to work on throwing myself into the aether so to speak. Giving into my desires of creating and sharing a life worth living. Brittney and I will be working on reducing expenses, limiting food intake, and finding a part time job if required. The problem is, I know my limits, and even though the government thinks I am fine, I know what i can't do. I feel the strain well up inside of me when I think about the possible jobs I can do. I suffer from severe anxiety when it comes to cash handling, using phones, dealing with the public, and even being a reliable employee for a company that won't appreciate me as a person. I'm scared, but for the time being, I need to keep focused, and try to make the most of my passions and hobbies that leave me feeling fulfilled.